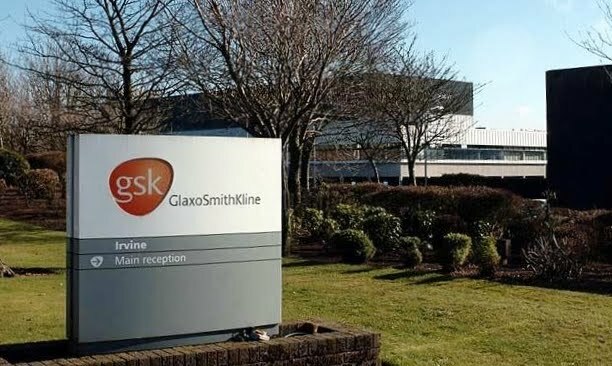 First Minister Alex Salmond and Finance Secretary John Swinney today welcomed plans by pharmaceutical manufacturer GlaxoSmithKline to invest more than £100m and create 100 new jobs across its two Scottish operations in Irvine (pictured below) and Montrose. This new investment will be used to make the Irvine site a centre of excellence for the production of antibiotics, as well as backing the development of respiratory medicines and vaccines in Montrose and increasing the firm’s move to sustainable green energy production. The First Minister today met staff at the company’s Irvine facility and said the announcement demonstrated Scotland’s competitive business environment continues to secure new investment from leading global firms. Mr Swinney visited and toured GlaxoSmithKline’s Montrose site today, welcoming the substantial inward investment. First Minister Alex Salmond said: “The Scottish Government and our enterprise agencies are doing all we can to secure new jobs and investment to Scotland. GlaxoSmithKline’s announcement to create new jobs at their Montrose and Irvine operations demonstrates this international company’s commitment to working in Scotland. “The key aspect for Montrose is the moving of vaccine production to Angus and for Irvine it will mean they become the centre of excellence for the production of the most widely used antibiotic in the world. Both plants will have considerable investment in renewable energy, which will help secure their future. "The quality and skills of the local workforces in Montrose and Irvine have played an important part in the company’s decision to expand their operations. This new investment reinforces Scotland’s global reputation for research excellence and the competitiveness of our business environment. It also highlights Scotland’s international profile in life sciences. Finance, Employment and Sustainable Growth Secretary John Swinney added: “Today’s very welcome announcements build on Scotland’s success in attracting inward investment. “Ernst & Young's UK attractiveness survey shows a 35 percent increase in FDI (Foreign Direct Investment) projects in Scotland compared to 2010, with 69 projects creating over 4000 new jobs. “Scotland is now attracting FDI jobs at levels not seen since the start of the global recession and is outperforming both the rest of the UK and the rest of Europe. Lena Wilson, chief executive of Scottish Enterprise, said: “GSK is a global leader in the pharmaceuticals industry and their expansion in Scotland is an endorsement of the world class skills and capabilities within our life sciences sector. “In recent months, we have been working with our partners across the public sector to support the company’s ambitious plans and we’re delighted they have recognised the contribution that Scotland can make to its global competitiveness. GSK currently employs over 330 people at its Irvine site and 250 at its Montrose facility.